So how many of you looked at your team after Gameweek 30 and realised about half of your players aren’t even playing in the next round of FPL fixtures? If that resonates all too much then no need to worry… Nathan and Joe have you covered with some of the best fantasy football advice around. Plus, Nathan has a brutal hangover for the entire episode so that’s fun. The Fantasy Football Pundits team have also given us another perfect tip for the five fixtures that happen this weekend. 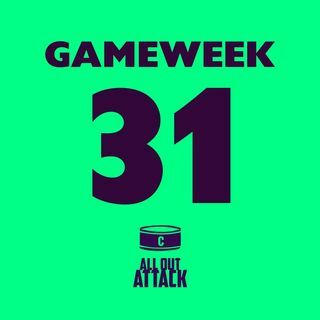 Subscribe, give us as many stars as you can in the time it takes Ben Mee to become the Premier League top goalscorer and follow us on Twitter at @AllOutAttackFPL. Thank you, enjoy and as always good luck in Gameweek 31.